ARE YOU A WIDOW? THIS BOOK IS FOR YOU! This book is for those of you who have spent many years sharing the decisions, burdens and joys of life with the one you loved. Now your husband has died; what do you do? You are once again a single woman and how do you become that independent person you need to be to manage your new life? How do you take care of the chores of the day, the home maintenance, the decisions, and still cope with the grief and stress of your loss? 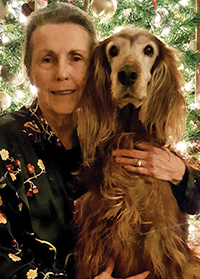 Pati Redmond has spent ten years dealing with these problems after the death of her husband and wants to share her experiences with you. She has lived these pages, gathering years’ worth of thoughts, experiences, challenges, and solutions in the hope that other women will be able to face their future as a widow more empowered and equipped after experiencing one of life’s greatest tragedies. It is not only relevant to the widow left behind, but also to the children who remain. The information in the text is well thought out, clear, concise and thorough. 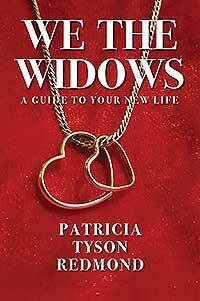 We the Widows will give you suggestions on how to deal with many things you may face as a grieving widow. You will learn that you are stronger than you ever thought you were, and that you can do things you never dreamed you could! Perhaps it will also make you smile at the memories and help guide you into your new life.